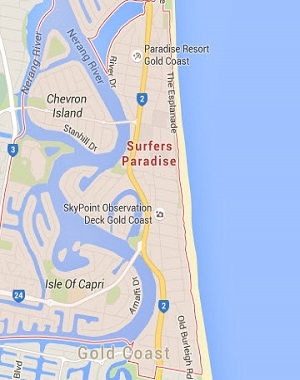 Location of this apartment: Level 36, Orchid Tower, 6 Orchid Avenue, Surfers Paradise, Gold Coast. Sky High 3 Bedroom / 2 Bathroom Apartments all with Ocean Views are located from Level 25 upwards. These apartments feature FREE in room Wi-Fi. Bedding Configuration = 2 x Queen Beds, 1 x Double Bed and 1 Double Sofa Bed. 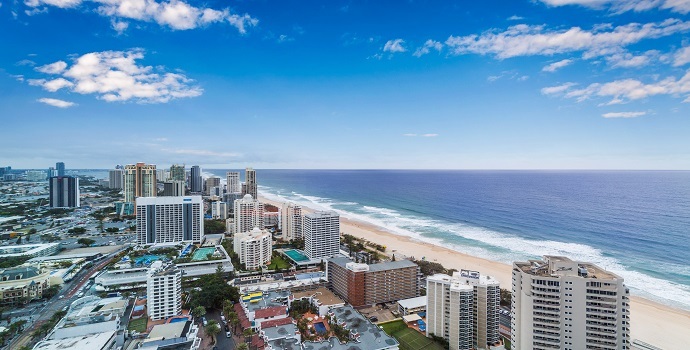 Gold Coast Private Apartments, fully self-contained, Sky High (from level 25 upwards) 3 Bedroom Apartment with Ocean Views feature an open plan living with floor to ceiling windows and are fitted with air-conditioned rooms. There’s a fully equipped kitchen, dishwasher and microwave. The 3 Bedroom Apartments have 2 bathrooms with a shower and bath tub (towels supplied). Please note we supply a set of bathroom towels only, we encourage guest to bring their own pool / beach towels.